Hekab Be Biblioteca ~ Open Road Community Library: HB Receives Trip Advisor Certificate of Excellence! 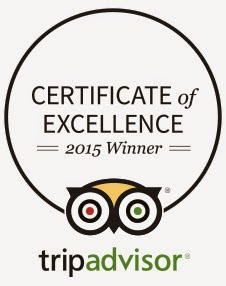 HB Receives Trip Advisor Certificate of Excellence! Hekab Be is thrilled to share the exciting news that we've been awarded the 2015 Certificate of Excellence from Trip Advisor, thanks to the wonderful reviews that people have given us. We think it's a pretty amazing place, so we're very pleased to know that you all think so too. HB is rated #9 among all Akumal attractions. Haven't rated HB yet? Click on the certificate in the right sidebar of this page, to link to Trip Advisor's Hekab Be page and get started-- with your help, we might just make it to the top 5! We wear our badge proudly! !